Tired of the color of your car? We can do a quick, cheap, and easy color change car wrap for you. Queen of Wraps has wrapped thousands of cars in the Salt Lake City, Utah area. 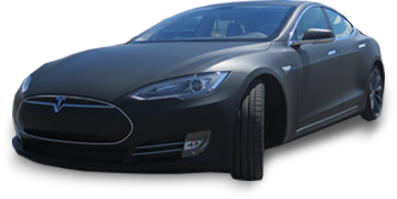 Now, we have turned our talents to car customization for the masses in addition to advertising pieces for businesses. Also with all of the car wraps we have under our belt, you can rest assured that your vehicle is in good hands and that we’ll make it refreshed, renewed, and revitalized. We use only the highest quality vehicle color change films. Plus we buy from top brands like 3M and Avery. Additionally, within each product category, we offer many coverages and installation levels to offer the most beautiful color change vinyl wraps possible. Typically, in the world of advertising vehicle wraps, the 10´ rule is the standard. This is perfectly fine in that world because advertising wraps are meant to be seen at high speed and from a distance. In the world of color change car wraps, quality is key. Also, we offer packages that include things like trim and headlight removal. Because of this, we ensure that the best job possible is executed. We also strive to use the widest materials possible to minimize the number of seams. Therefore our color change car wraps will give you the best possible look at a much more affordable price than a good custom paint job. This is the real deal vinyl vehicle wrap with all the bells and whistles. We work exclusively with trained auto-body experts. This enables us to carefully remove all the trim, door handles, lights, and almost every other part possible. Therefore we ensure that this wrap covers as much paint as possible. While total 100% paint coverage is impossible, our color change vinyl wraps are as close as you can get. Typically, these specialty installations take 2-3 days. This is because of the added time to remove and re-install the body parts. Our car wrap service also comes with our best installation warranty. 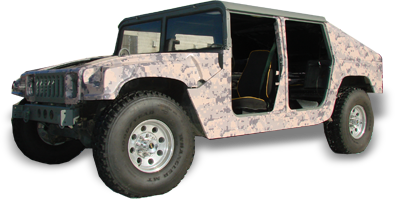 We have over 50 colors of vinyl vehicle wrap available from the top brands in the industry. Additionally, we can create any custom color or finish you can think of. 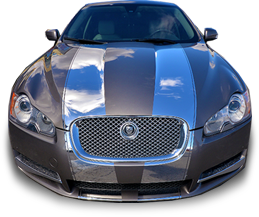 Custom car wrap pricing starts around $4,000 depending on the size of the vehicle. This is a more economical version of the Royal Treatment Wrap. The biggest difference is that we do not include the added step of trim and light removal. That being said, you still get the top quality vinyl and installation that Queen of Wraps has to offer. Typically, these installations take 1-2 days depending on the vehicle. We have over 50 colors of vinyl wrap available from the top brands in the industry. Additionally, we can create any custom color or finish you can think of. Silver Griffin vehicle wraps start around $3,000 depending on the size of the vehicle. Want just some spot colors or graphics on your vehicle? Maybe just a different color roof or hood? We can do any type of partial vehicle wrap you would like. Whether you need a cool carbon fiber hood on your sports car or a racing stripe on your minivan, we can help. Partial car wraps generally start around $300 and go up from there depending on coverage area and complexity of the installation.